We are into another week but it is still the same old routine for the NBA as a line-up of hot games get our new week started in great fashion. There were also some excellent games rounding off last week in style and we will begin by recapping what took place on Sunday in the NBA. The Spurs dealt with the Chicago Bulls in San Antonio on Sunday, the home team winning by a score of 116-105. The Pistons slipped to a home defeat to Charlotte, with the Hornets winning by a score of 101-108. The Jazz were road winners in Brooklyn, defeating the Nets by a score of 88-95. The Lakers also lost at home, the Los Angeles side being downed at home by the Dallas Mavericks, the final score being 93-100. It was a bad night all in for Los Angeles, with the Clippers slipping to a 106-98 loss away to the Los Angeles Clippers. The Celtics were undone in Orlando with the Magic fashioning a 103-98 win against the Boston side. There was an exciting match between the Toronto Raptors and the Oklahoma City Thunder, with the Thunder eventually triumphing 108-104. The Hawks may have been light on key players in their last game but they will feel mightily disappointed about their loss to the 76ers. They achieved a great result on Friday night with a 106-97 win against the Cavaliers but then on Saturday, they turned in an abject performance in a 92-84 loss against the 76ers. This was the third fewest points they had notched all season. The Kings meanwhile lost in Miami on Saturday night, dropping by a score of 114-109. The Kings have a 21-40 record at this point of the campaign and this includes an 8-21 record. They are currently on a losing streak of 3 and they have a 3-7 record in their last 10 outings. The Hawks have a 49-13 record so far this season and this includes a 29-4 record at home. They lost to the 76es in their most recent game but they hold a 7-3 record in their last 10 outings. With respect to average points scored and average points allowed, the Hawks, unsurprisingly, have an advantage. The average points scored record stands at 102.4 to 100.6 and the average points allowed stands at 96.3 to 104.7. The Hawks have slight injury concerns over Kyle Korver, DeMarre Carroll, Paul Millsap and Pero Antic for this game but you would expect many, if not all, to make it. The Hawks will be desperate to bounce back in this game and taking them at -11, at odds of 1.90, is likely to be a sound bet. Bet Now! It is always a big occasion when the Gasol brothers are on the court opposing each other and this game comes on the back of the two players starting in the All-Star game, a historic moment in basketball. This is also a huge game between two teams who have major aspirations for the rest of the season. The Grizzlies have a 44-18 record, which includes a road record of 20-11 while the Bulls have a record of 39-25 so far, including a 20-13 record in Chicago. Both teams come into this game on a loss with the Grizzlies having lost to the Pelicans on Saturday while the Bulls lost to the Spurs on Sunday night, being downed 116-105 by San Antonio. Both teams have a 5-5 record in their last 10 outings. For average points scored, the Bulls are in the lead, 101.1 to 99.3 while for average points allowed, the Grizzlies have an advantage, 95.6 to 98.8. The Grizzlies are likely to be without Vince Carter while the Bulls could be missing Taj Gibson and Jimmy Butler. 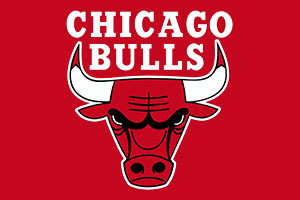 Taking the Bulls with a +4.5 handicap, at odds of 1.90, is likely to be a decent bet for Monday. Bet Now! The Bucks grabbed 9 of the final 11 points on offer in their game against the Wizards, grabbing a 91-85 win which ensured that they didn’t add to their longest losing run of the season. There isn’t much between these two teams and this could be a tight affair in Milwaukee. The Pelicans have a 34-29 record so far this campaign, and this includes a road record of 12-18. The Bucks have a record of 33-29 and this includes a home record of 18-11. Both teams won their last game and while the Bucks were winning at home to Washington on Saturday, the Pelicans were defeating the Grizzlies 95-89 in New Orleans. The Pelicans have a 7-3 record on their last 10 games while the Bucks have a 4-6 record in their last 10 games. For average points scored, the Pelicans have an advantage of 99.4 to 97.6 while for average points allowed; the Bucks have an advantage of 96.4 to 99.0. The Pelicans may be without Ryan Anderson while the Bucks are monitoring Jared Dudley and OJ Mayo. Taking the Pelicans at +2, at odds of 1.90, will get your NBA betting week started properly. Bet Now!